Time tested, evidence based wisdom from the Vedic ages for health & happiness. Ayurveda originated in the Indian subcontinent, supposedly 5000 years ago as a healing & wellness science. Ayurveda offers a range of traditional therapies and authentic medicines to impart wellness to the body, mind and spirit. These therapies and medicines can be used for curative purposes as well as to improve general health of body and mind, making it a perfect rejuvenation science as well. Ayurveda also comprises the knowledge of lifestyle curated to different seasons which will help to prevent diseases and maintain wellness. Over last 5000 years Ayurveda has been connecting the human race and nature very deeply for health & longevity. The origin of Ayurveda dates back to around 5000 years and is believed to have evolved from the eternal consciousness of Lord Brahma, the creator of the Universe. Brahma imparted the divine wisdom of health and life to his son, Daksha Prajapati, who then passed it on to Ashwini Kumaras, the twin Divine Physicians of Hindu Mythology. Indra, the King of Gods learned the science of Ayurveda from the Ashwini Kumaras and took up the task of enlightening humanity with his medical wisdom. The great sages, after realizing the sufferings of humans due to various illnesses, entered into deep meditation to find a solution. They found their savior in Lord Indra and sage Bharadwaja was deputed to approach him to attain the ultimate knowledge about Ayurveda. Bharadwaja taught his disciples the principles and essence of Ayurveda, who themselves wrote treatises for the benefit of humanity. The knowledge of Ayurveda started to spread rapidly with the beginning of such documented treatises and eventually emerged as a main stream medical system. Ayurveda gained popularity as a medical system during the Vedic age. Atharva Veda, the fourth among the Vedic literature contains many medical references and Ayurveda is considered as an Upaveda of Atharva Veda. 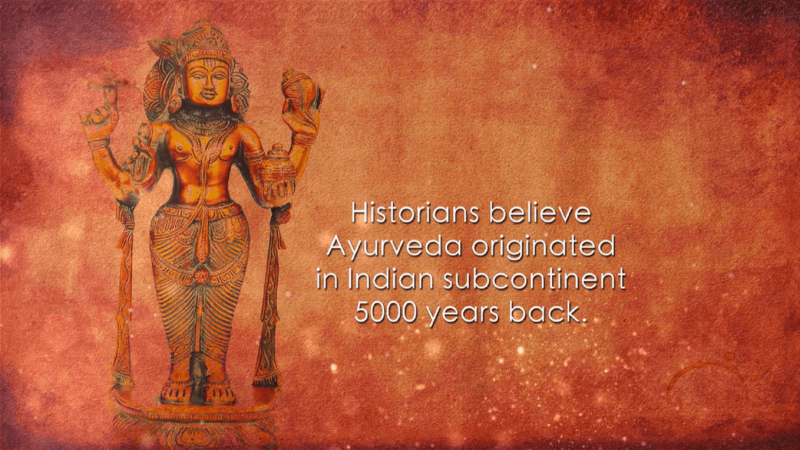 But the period between 800 B.C to A.D 1000 witnessed the real prosperity of Ayurveda with the introduction of Samhitas. The three most important Ayurveda treatises called ‘Brihatrayees’ - the Charaka Samhita, the Susruta Samhita and the Ashtanga Hridaya Samhita were written during this golden era and continue to be the authentic reference guide to the entire Ayurveda fraternity. The next best elite references after Brihatrayees - the Madhava Nidana, the Sarngadhara Samhita and the Bhava Prakasha, collectively called ‘Laghutrayees’, appeared in course of time and provided a simple and comprehensive way to understand and practice the divine science, Ayurveda. Ayurveda is not just a medical system that treat diseases, it is a way of life entrenched on various philosophies and guiding principles. It is greatly influenced by Samkhya and Vaiseshika school of thoughts, which is evident from the similarities between the theories explained, the difference being Ayurveda explained everything according to the utility of Science. Ayurveda believes in Panchamahabhuta Siddhanta and explains every material phenomenon in this Universe, no matter how small it is, is composed of five subtle elements - Prithvi (earth), Ap (water), Tejas (fire), Vayu(air) and Akasha (ether/space). Similarly, the central concept of Ayurveda is the Tridosha theory that explains Vata, Pitta and Kapha as the three factors responsible for the wellness and diseased states of individuals. Ayurveda that is in practice today has its foundation on classical Ayurveda treatises written by the great seers of ancient India. Among the several documentations, many are not available at present but Acharyas like Susrutha, Charaka and Vaghbata took the pain and effort in detailing everything through their treatises Susrutha Samhita, Charaka Samhita and Ashtanga Hridaya respectively. These classics which are collectively called as “Brihatrayees” or the greater triad are the oldest documentations available in medical history. While Charaka mainly advocated General Medicine principles in his Samhita, Susruthacharya explained the various surgical procedures of ancient times in detail and is aptly called the Father of Surgery. The vast and elaborate pattern of description in Brihatrayees forced the later Acharyas to concise the knowledge in the form of “Laghuthrayees” - Madhava Nidana, Sarngadhara Samhita and Bhava Prakasha. Apart from these triads, several other Acharyas like Kashyapa, Bhela, Chakrapani etc. also documented their field of specialties and rightly contributed in uplifting the status of Ayurveda. Ayurveda is the most ancient medical system known to mankind and still enjoys the glorified status and popularity worldwide. How? It is because of the unique concept that it holds – The Tridoshas, The Dhathus and The Prakruthi. 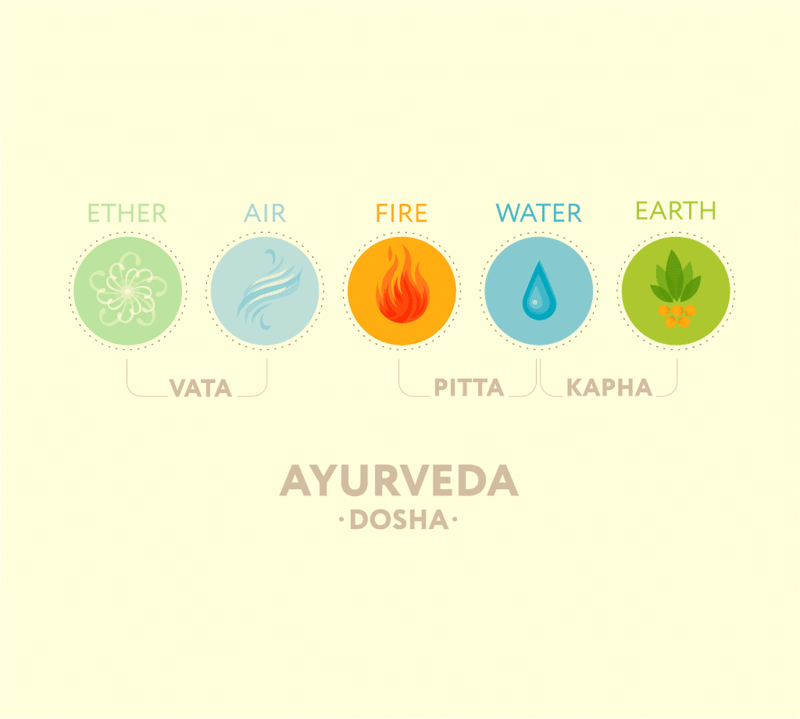 Ayurveda treats not just the disease but the person itself, based on these three elemental concepts. The Tridoshas are Vata, Pitta and Kapha. While Vata is the regulator of all types of dynamic activities in the body, Pitta is responsible for all types of metabolism and Kapha controls the structure and lubrication aspects of the body. When these doshas are in balanced state, it constitutes health and the imbalance of these leads to diseases. The innate nature or Prakruthi of each individual is based on these three doshas itself and categorized as Vata Prakruti, Pitta Prakruti and Kapha Prakruthi. Dhathus, the structural components are 7 in number namely, Rasa (plasma), Rakta (Red blood cells), Mamsa (muscle tissue), Medas (fat tissue), Asthi (Bone tissue) Majja (bone marrow) and Shukra (reproductive substances). Each Dhatu is nourished by the previous Dhathu and any impairment in nourishment affects the normal metabolism at the Dhatu level and result in diseases of the respective Dhathu. From its origins 5000 years ago in the Indian Subcontinent, Ayurveda has grown and spread to the nook & corners of the world. On this amazing journey of healing & wellness, Ayurveda has joined hands with cutting edge scientific tools to improve and evolve into an effective medical & life style science. While classical medicines from Samhitas are being used widely, new dosage forms , proprietary medicines , improved therapeutic procedures are quite popular across the world. It has been able to tackle and subdue many a health challenges of the modern world including many epidemics. Ayurveda also inspires scientists to come up with innovative health solutions based on holistic healing techniques & through its humungous pharmacopeia. The surgical methods developed by Acharya Susrutha are in practice without much change especially at the area of cosmetic surgery with innovated tools. Kerala still remains one of the purest sources of authentic Ayurveda practice owing to its unique geography, cultural practices and abundant biodiversity to apply Ayurveda principles to medicines. Ayurveda is making its way more into lives of people as diet & lifestyle activities around the globe. Healthy daily habits like Oil pulling , Nasyam , Abhyangam are being adopted by many. With Ayurveda being practiced all over the world, the way up ahead would be quite exciting. Cures are being invented every other day based on Ayurveda herbal wisdom by researchers. Doctors in hand in with scientists are working on innovating Ayurveda across different fronts. We hope as Ayurveda spreads more, the essence of it will trickle more, into lives of many – Wellness Naturally.